Manufacture Test Support Stands to carry a SWL of 35 tonnes each. 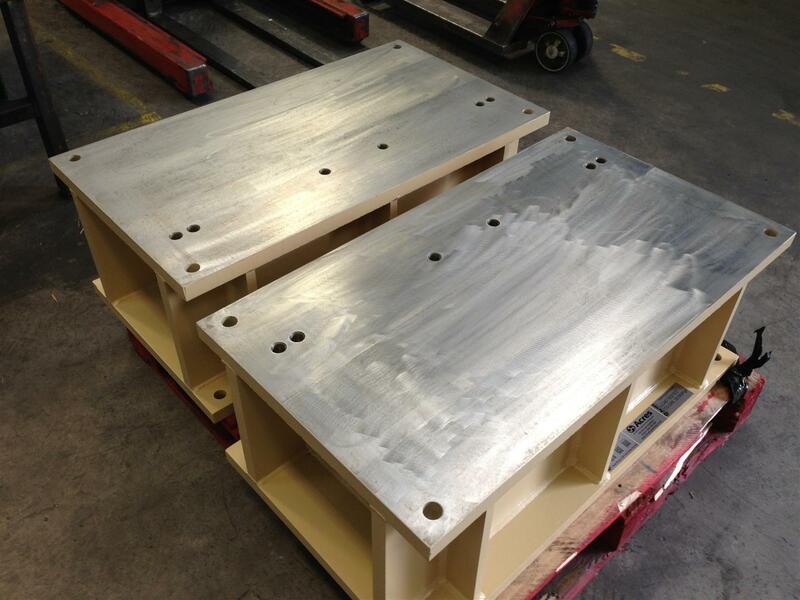 The Stands will be fabricated from mild steel plate and fully welded, the faces will be machined after welding. Load tested to SWL 35,000 kg. Approximate overall size: 1000mm (L) x 550mm (W) x 380mm (H) after machining.